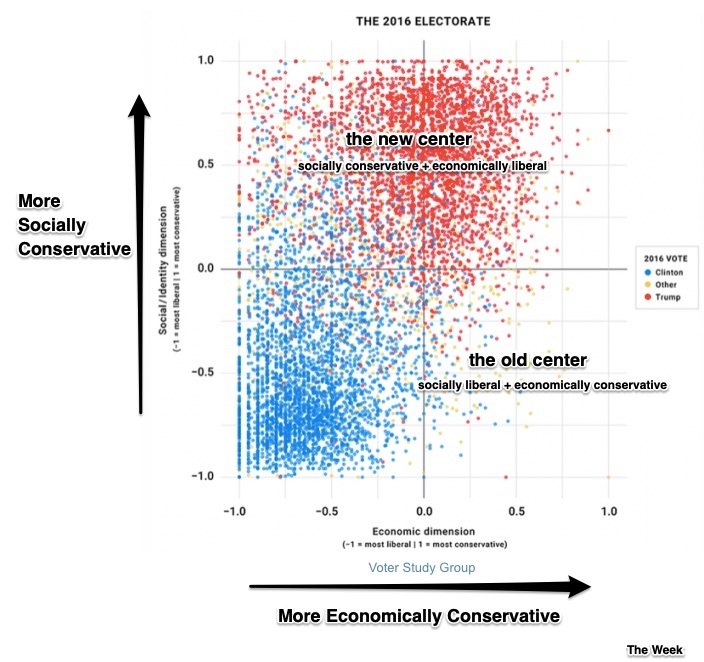 The political center might not be where we think it is. Instead of a center, other researchers have divided us into political typology groups. Pew identified nine groups, a report called “Hidden Tribes” said there were seven, and another academic cited five. Whether we do or do not have a center, I suspect we share concern about similar issues. The big ones are health care and jobs, Social Security and the economy. And, we share our contradictions. People would like affordable healthcare guaranteed by government. But many do not want to lose their current coverage. We want to preserve Social Security but are unwilling to bring the eligibility age and payroll tax up. So what is the common denominator? It all takes me back to the role of government. Wherever that political center winds up, it will determine where, how, and if government spends our money. My sources and more: This essay from The Week is a good place to start learning about centrist voters. From there, I found the Voter Study Group analysis in this paper particularly interesting and also recommend pondering this study. 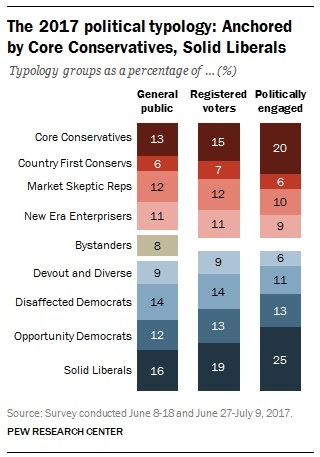 To conclude though, the NY Times tells us why the center is tough to find and identify while Pew confirms that with its nine political typology groups.